High resolution road sign textures. 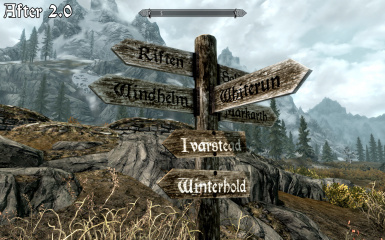 Made signs lighter to blend in with snowy areas. Reduced resolution of normal map (back to 512) and removed screenshots from RAR archive, resulted in a ~3mb reduction in the download size. Removed funky transparency that made a ton of tiny pixelated holes. Added weathering to the borders of the lower signs. Fixed issues with the normal maps. 2. Extract. 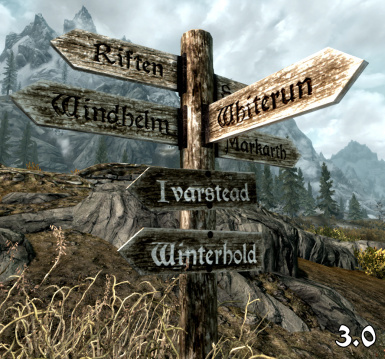 Copy/Move Data folder to your Skyrim directory. 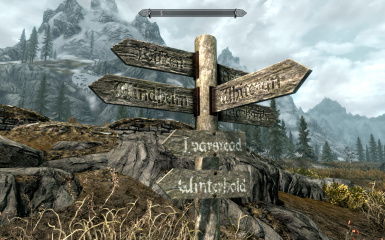 Please report bugs to me at skyrimnexus.com or bethsoft.com forums. If you want to get a hold of me, I'm at the bethsoft forums as SPARTAN VI. 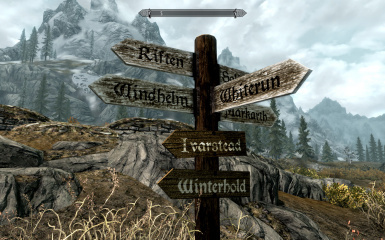 Feel free to do whatever you like with this mod, but please give credit. PLEASE feel free to include these files in a texture pack mod.